Go ahead and scroll down below the video to begin learning more about the latest version of the Volvo S60. It's our responsibility to present Volvo reviews authored by the finest automotive writers in the business - it's just one of the things that makes us a top-rated Volvo franchise in Dallas. We're your Volvo S60 dealer; this article will help you learn everything you need to know about the Volvo S60 in Dallas. Watch the video below or skip it to get the S60 review. Comparing the 2013 Volvo S60 to against vehicles like the 2013 Mercedes-Benz C-Class, Lincoln MKS, Audi A4 and the Acura TL, and you will spot that the 2013 S60 outshines the competition in several areas. Scan our bullets to see why! 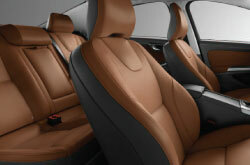 Take a peek inside the 2013 S60 - view video now! Volvo of Dallas auto repair service in Dallas is only a click away! Your Volvo deserves to be treated with the utmost respect - that means Volvo factory- trained technicians, legitimate 2013 Volvo S60 parts, and the peace of mind that comes from a 12-month service work warranty. 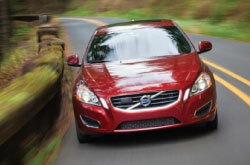 The helpful technicians at our Volvo repair division in Dallas will help your S60 run strong. We can deal with a situation as manageable as an oil change, or handle tough car service and repairs like Volvo timing belt replacements, transmission rebuilds, and strut and shock repairs. Make a wise choice when electing a spot to have your Volvo S60 repaired, and don' forget: At Volvo of Dallas you can anticipate getting awesome service and nominal prices on Dallas car repair. Take a look at our current service specials by clicking the link below.